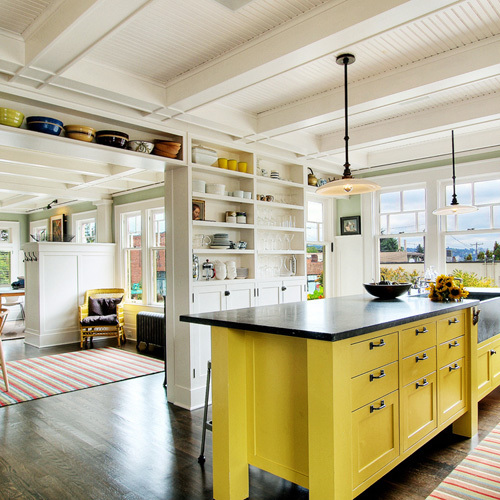 Kitchens with a POP of color! 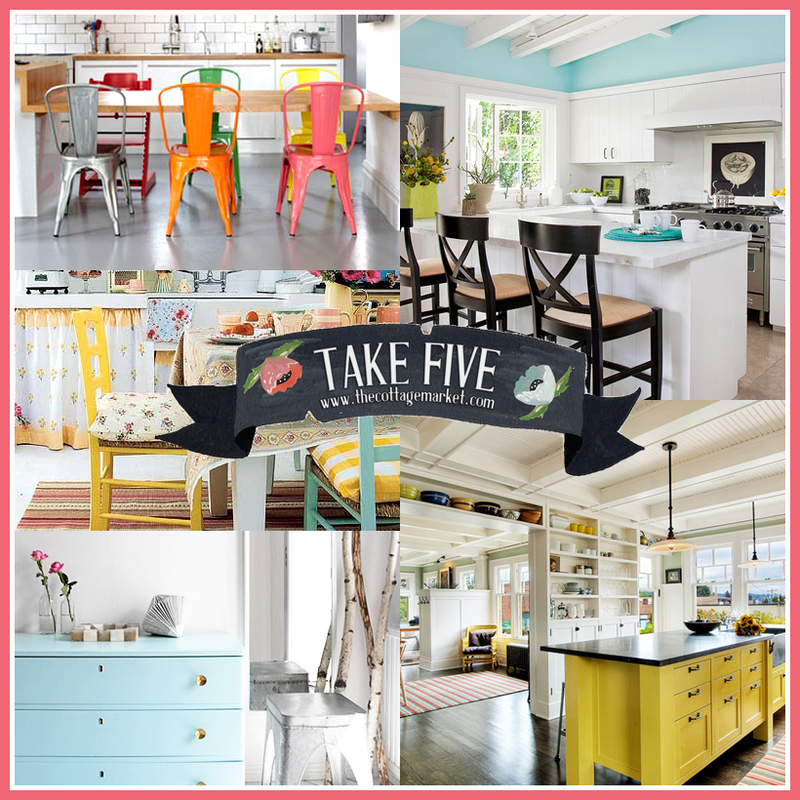 So I thought it would be fun to find 5 white kitchens that all have a pop or pops of color! 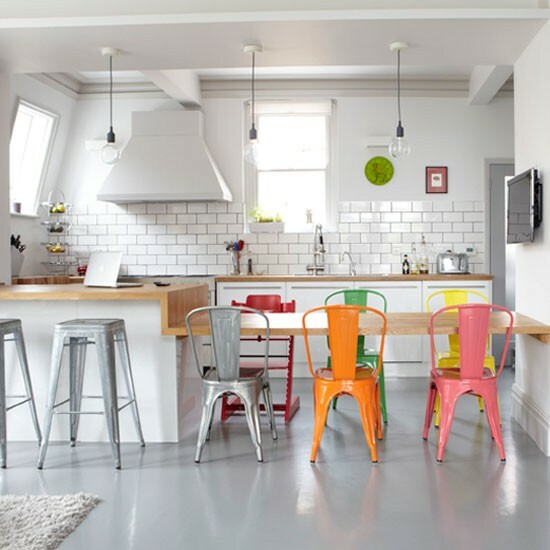 with the addition of 6 industrial chairs in fun and fabulous colors…this kitchen POPS and is really a fun place to be. 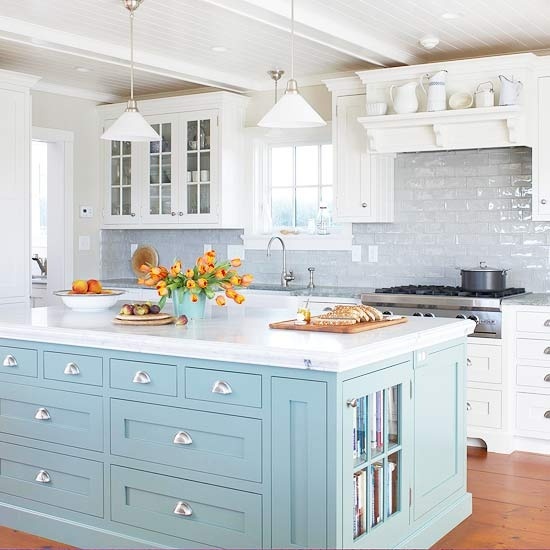 That is what is so great about a white kitchen…you can change things up all the time with just an accessory or two! 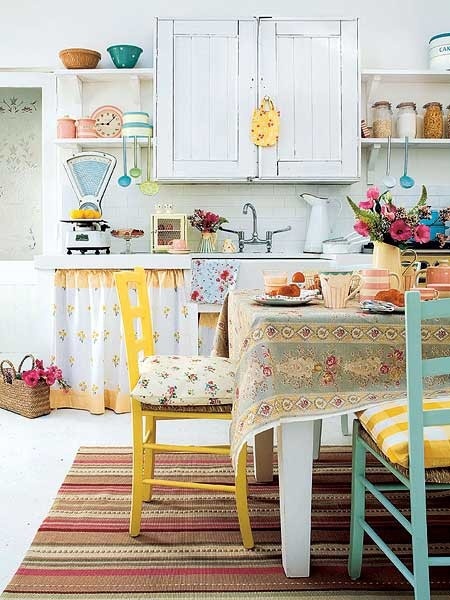 Here is an adorable cottage kitchen…the cabinets and floor are all in white but then the chairs and accessories make the room sing in perfect color harmony! What a welcoming and wonderful space to be in. The versatility is amazing. 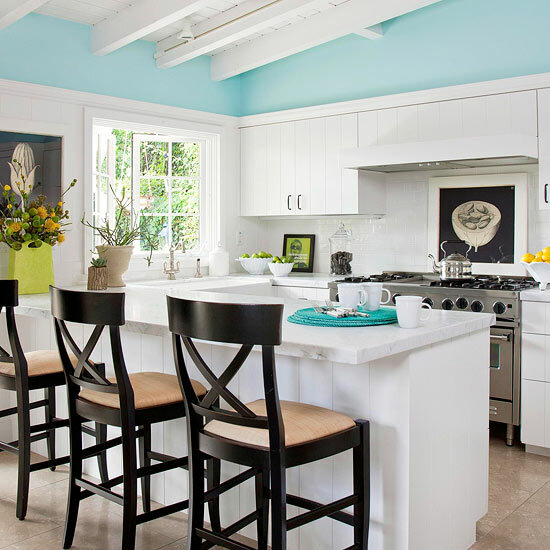 Ah…what a beauty island in blue can do in an all white kitchen…stunning is the first word that comes to mind! LOVE IT…then the time might come that you are not in the mood for blue…another wonderful color can be introduced for a completely new look. Another way to introduce a pop of color is with wall color. Look at the warmth that it adds to this kitchen! 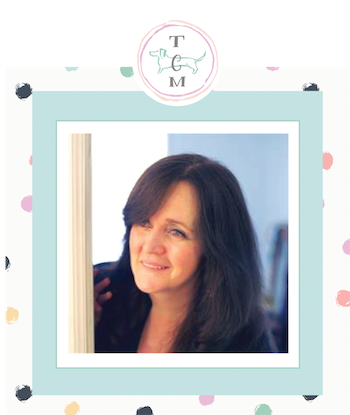 Once again…changing things up won’t take long when you are craving a new color. 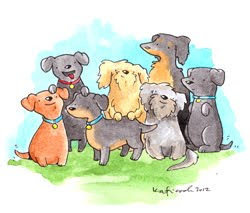 A little bit of yellow will cheer things up! A great islant with a stark black top and yellow bottom looks incredible against the white room…I love how they have chosen to have the rooms seamlessly flow into one another with keeping a similar color scheme and coordinating rugs. Oh yes, yellow does it every time!